Last year, we experienced a few small periods of downtime. We made changes to bring this up to 99.8% API uptime in 2015. However, the remaining 0.2% bothered our engineering team, so after additional work, we recently hit a rewarding milestone: 30+ days of 100% uptime on our API and front-end site! Getting more out of Open Street Maps? At Ona, we’ve always been big fans Open Street Maps (OSM). What’s always bugged me is I felt (like many groups), we’ve failed to fully understand and leverage the incredible wealth of data that OSM represents. Sure, our basemaps are powered with OSM data. And yes, we encourage partners to contribute data back whenever possible, but surely couldn’t we be using OSM to do more? The problem for me with OSM is that is always seemed a bit “flat”. I knew the data in OSM is incredibly rich. I could clearly see a neighboring school on a map, for example, but I just didn’t fully grasp how to access it’s underlying properties. Key features remained “baked” into the map. Discovering OSM Overpass and finally understanding OSM as a result, completely changes everything for me. The Nepal earthquake has shown how important open map data from Open Street Maps (OSM) can be in a humanitarian crisis of this magnitude. Our friends at Kathmandu Living Labs and MapBox worked together to develop a print friendly map that highlights key infrastructure, critical after an earthquake, like water points and schools. The ability to build tailored maps, that highlights key data for a specific function, is one of things about OSM combined with tools like Mapbox that really excites us. This map is an early, but important, example of that. KLL has been working to make these maps avaiable to first responders like the Canadian Forces DART to aid in their rescue efforts. We’re proud to make the KLL Humanitarian Quake map available as a default basemap option in Ona. If you are a group in Nepal, helping with the response, and are thinking about using Ona please let us know how we can help. Big data in the form of behaviors and small data in the form of surveys complement each other and produce insights rather than simple metrics. In fact, in the face of a proliferation of large datasets the utility of survey data has increased. When understood in conjunction with big data, the small data of surveys can have a multiplier effect on understanding. Human experts can also help data analysts figure out what to look for. Ona’s data platform builds structure around surveys to make sure that our users are positioned to take the crucial step of turning raw data into actionable intelligence. Most important, while big data can tell us whether certain teachers are helping their students, small data gives us the best hope to answer a crucial question: How are they doing it? In addition to how, we’ve seen our clients use surveys to answer what as well. For example, in Sierra Leone UNMEER has asked “What is a the status of Ebola Care Facilities?” and received real-time answers using Ona. Image from Tim Lahan, NY Times. In 1960, the national capital of Brazil re-located from Rio de Janiero, on the Atlantic coast, to Brasilia, which is in the central-west highlands of Brazil. Even though Oscar Niemeyer’s masterpiece in modern urban architecture doesn’t boast the beaches or invoke the same image of Brazilian life and culture as Rio does, Brasilia is still a city to be reckoned with. For one, Brasilia houses the federal government, including the Ministry of Health (MoH), which has the distinct responsibility of overseeing healthcare in the entire country and setting health policy for the 275,000+ public health facilities, or Unidades de Saúde, that cater to adolescents in Brazil. 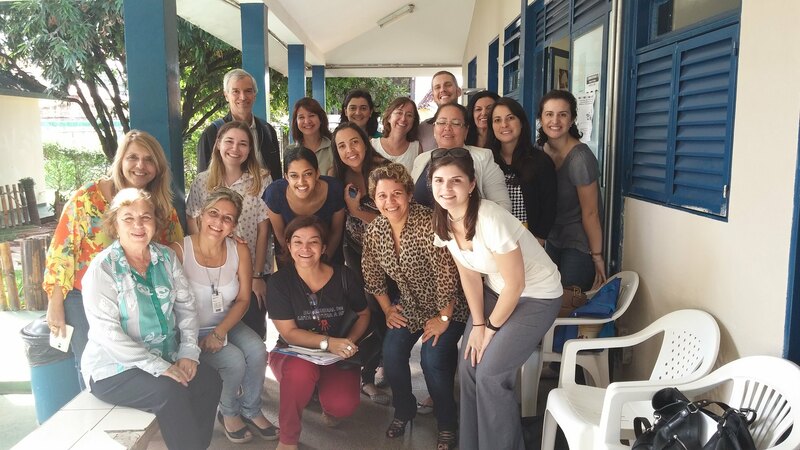 I recently traveled to Brasilia to take part in a very special workshop hosted by the Brazil MoH. Government health officials from across the country were invited to the workshop for a lively 3-day discussion on the status of adolescent healthcare in the country and strategies for improving the quality of care that adolescents receive when visiting these public health facilities. During the workshop, I led a training on using an online monitoring tool that Ona built for the Brazil MoH to better assess the quality of adolescent health services in the country.